We are well familiar of the contributions Japanese have made across technological and scientific domains. They have certainly played a crucial role in digital innovation. Japanese culture has been known to be shaped by its electronic development. They have always been one step ahead of the rest of the world but, with some idiosyncratic inventions they have gone a little bit too far. Therefore, those were not revealed to the world. 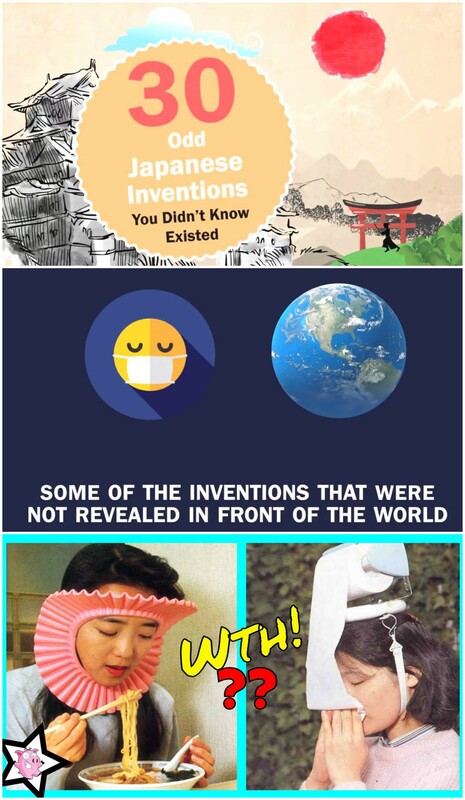 Down below are listed 30 weirdest inventions the Japanese have made. This odd invention was made for fathers wanting to bond with their children in the absence of their mothers. 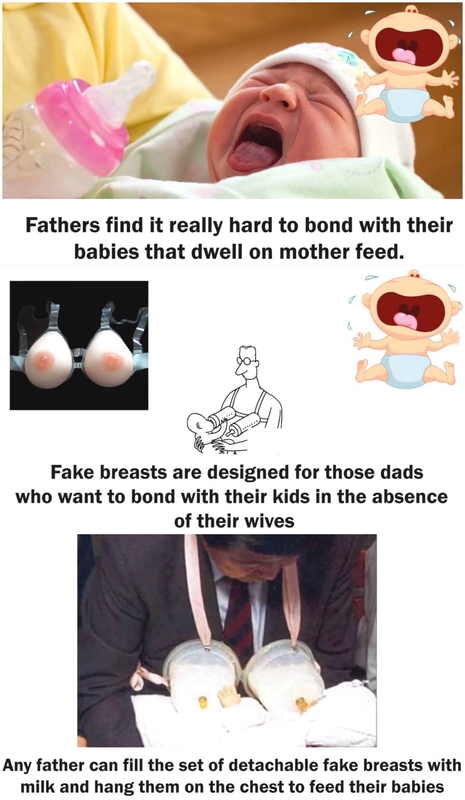 All the fathers have to do is fill the detachable fake breasts with milk and hang them on their chest to feed their babies. That’s not weird at all! In the morning, everybody is in a hurry. In the hustle of getting ready, people often forget to have breakfast. 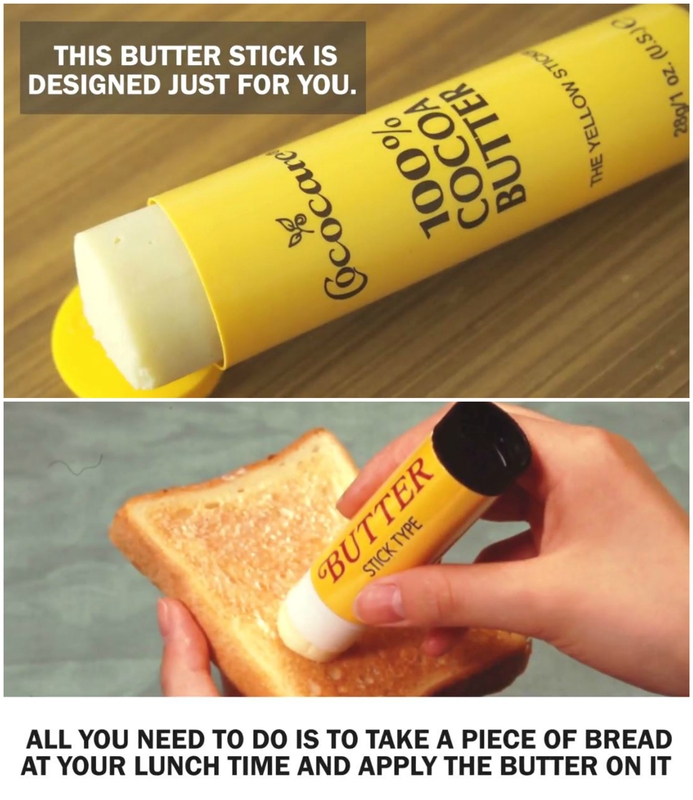 This butter stick is made for people just like that. This product consists of a stick of butter in a plastic setting. So, all you have to do is apply it on a slice of bread as if you are applying glue stick on a paper. This bra is used to greet outsiders through an informal manner. 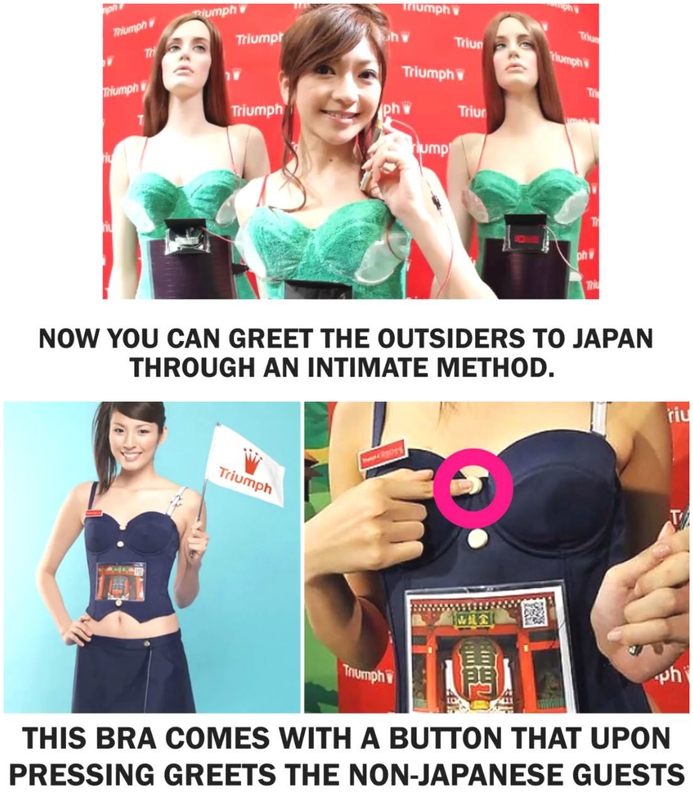 This bra contains a button in the middle that, when pressed, greets non Japanese visitors a hearty welcome in their own languages. This bogus hand is designed to assist women in cutting vegetables and other items without cutting their fingers. 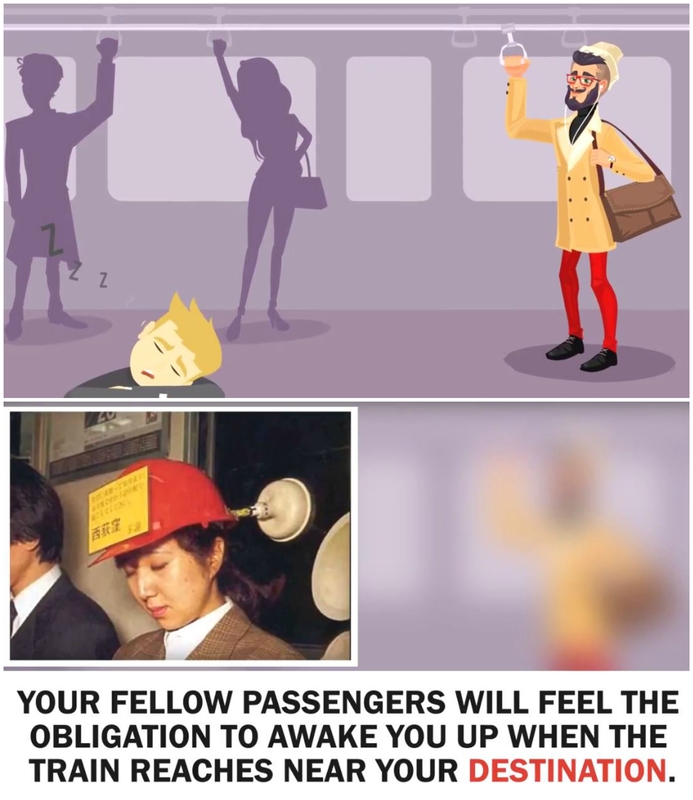 When you are riding the subway and you fall asleep while wearing this pillow, your fellow passengers will feel obligated to wake you up upon arrival of your destination. 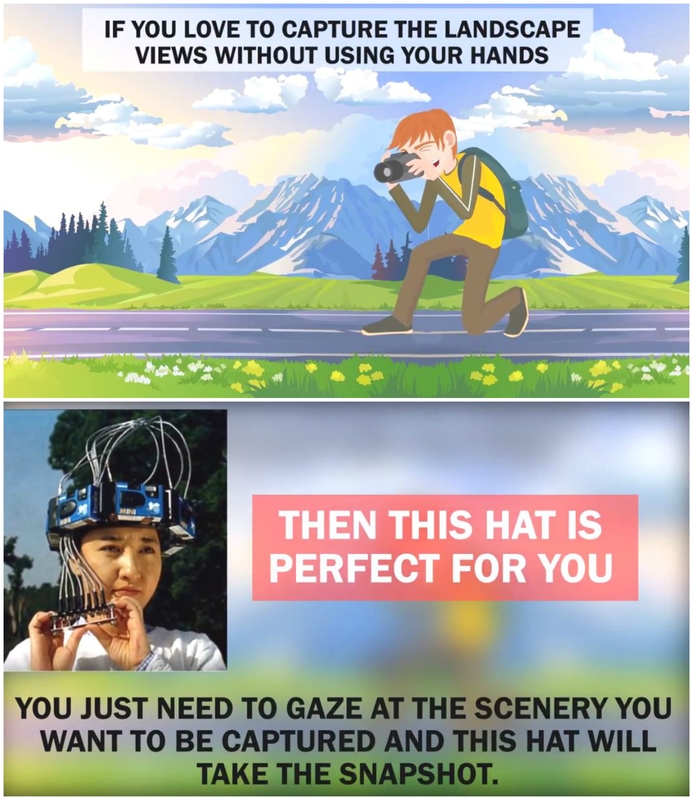 To all the photographers whose hands get tired of holding the camera and still, who are not able to take the perfect shots, this invention is just the right thing for you! Just gaze at the perfect view and it will automatically take a screenshot. 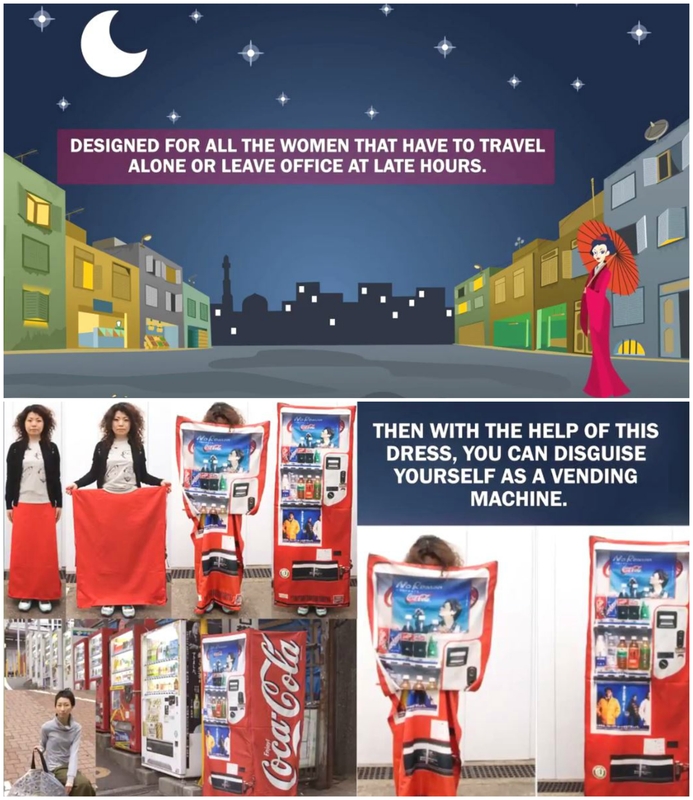 This is made for all the women who have to work and travel alone at late hours. When you are walking alone at night and someone tries to attack you, you can pretend to be a vending machine. Want to make gardening more fun? 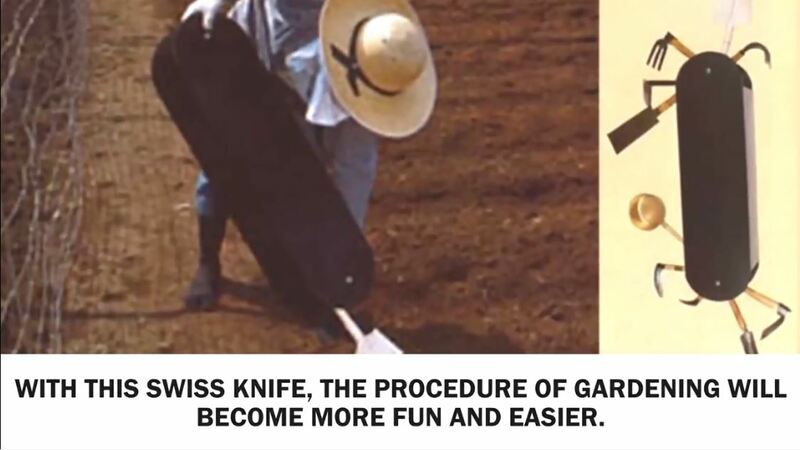 Use this Swiss knife specifically made for gardeners. An umbrella in the form of a necktie. Now, you don’t have to carry your umbrella on rainy days. 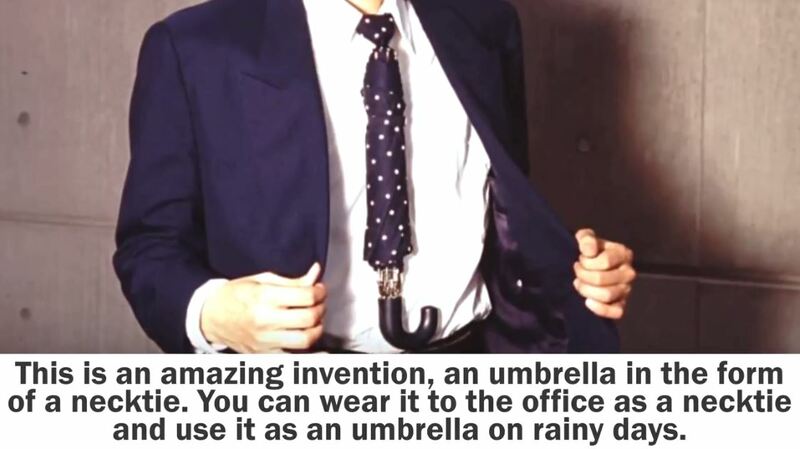 You can simply wear your umbrella to work. Do you have constant irritation due to itch on your back and are not able to reach there? Well, no worries! This t-shirt is made just for you. 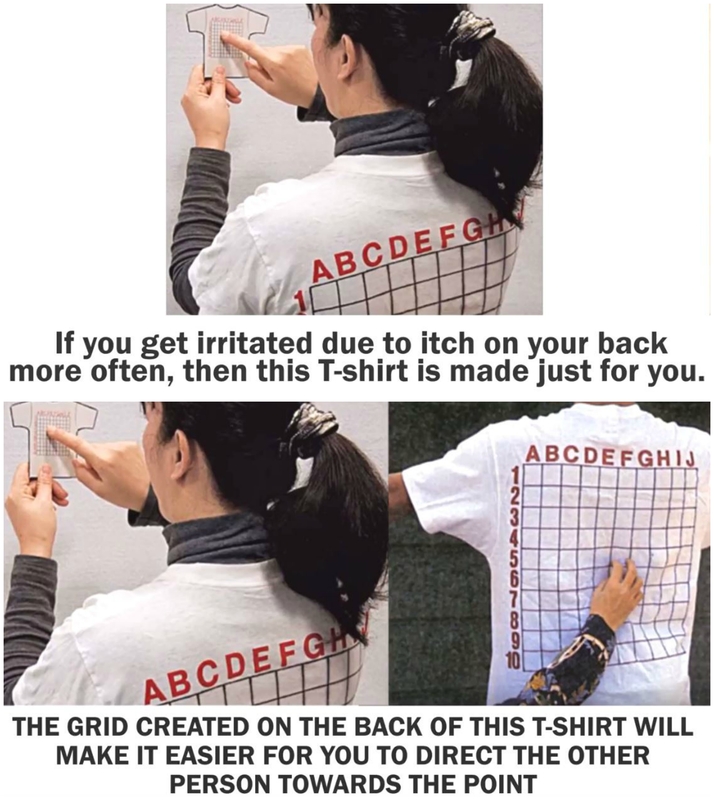 On the back of this T-shirt, there is a grid printed which makes it easier for you to point where you have the itch to the other person so they can scratch you. Are you getting tired of your kids frowning all the time? 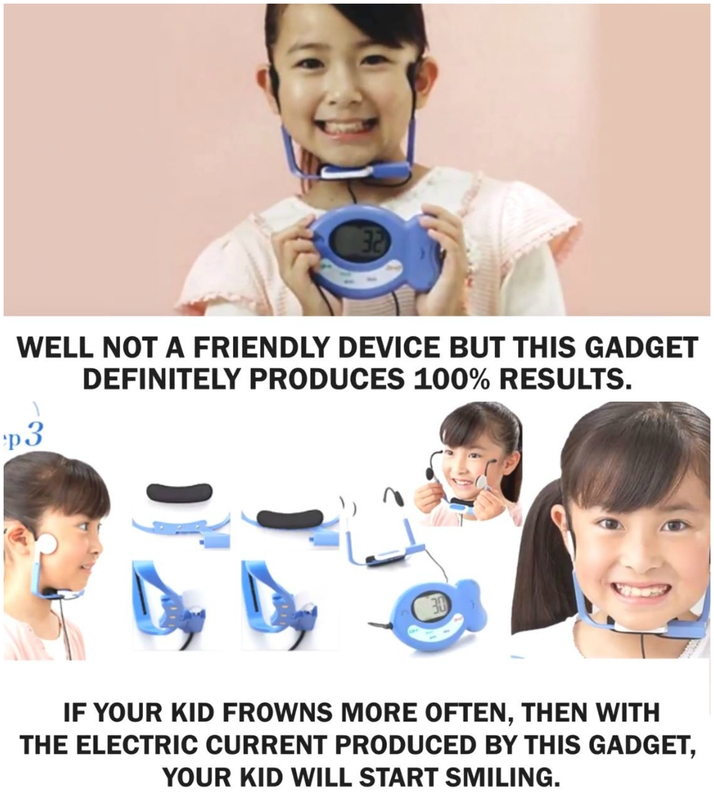 If yes, this device is perfect for people like you. This device may not be so friendly but it definitely produces results. This device created an electric current that automatically makes one smile. Do you hate watching the rain water go to waste? 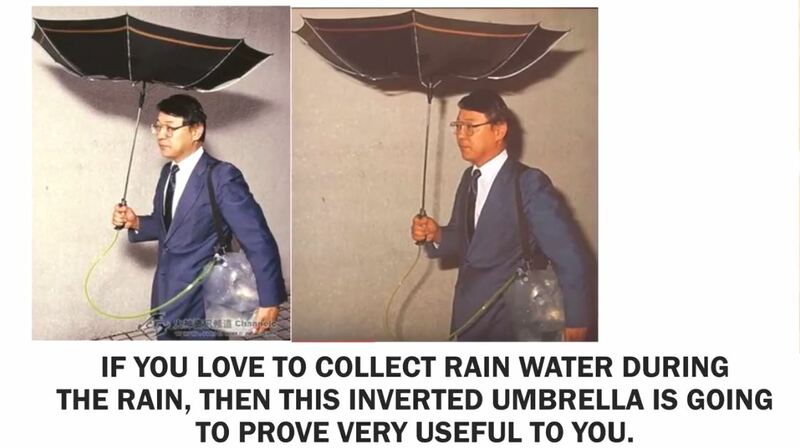 With this inverted umbrella, you can collect rain water and the amazing thing is, you will not get wet while collecting it. If you are a girl, you will definitely need this. Don’t you get irritated when you go out to eat all dolled up and you hair keeps getting in front of your face while you’re trying to eat a bowl of soup? Do not worry anymore! With this hair masks, you no longer have to worry about your hair getting dirty. 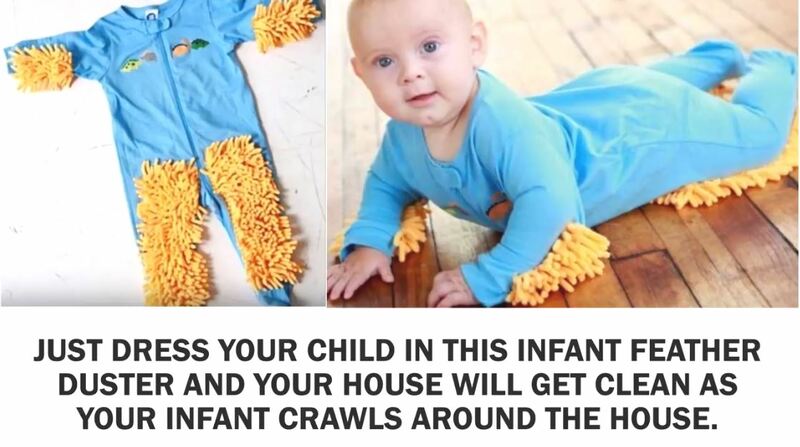 Cleaning your house with a baby around is a really hectic job. This product is invented to make the lives of mothers a little easier. Just dress your baby up in this duster and your house will get cleaner as your infant crawls around. Don’t you just hate when people watch you while you are trying to eat? 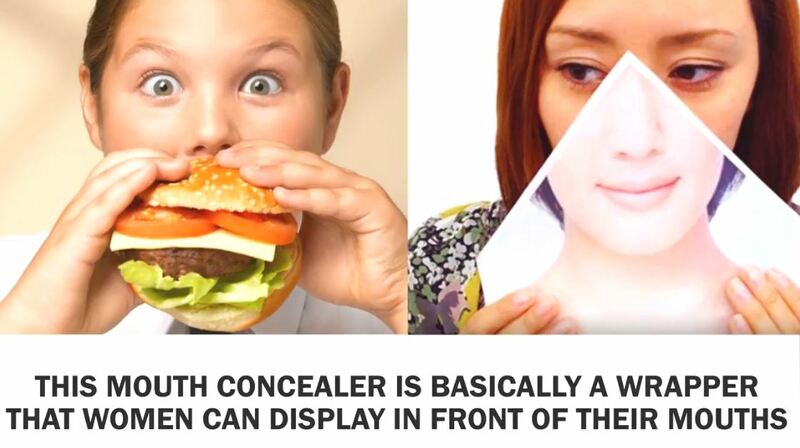 This mouth concealer solves that problem. Just hold it in front of your mouth while eating. 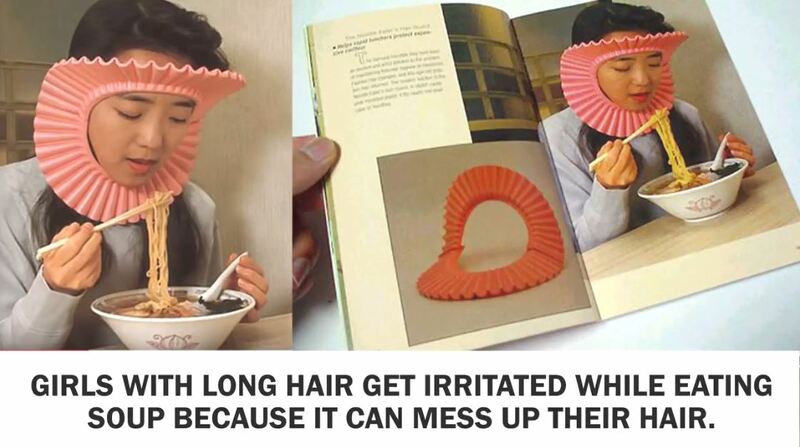 This invention is made for Japanese who do not like to eat hot soup noodles. 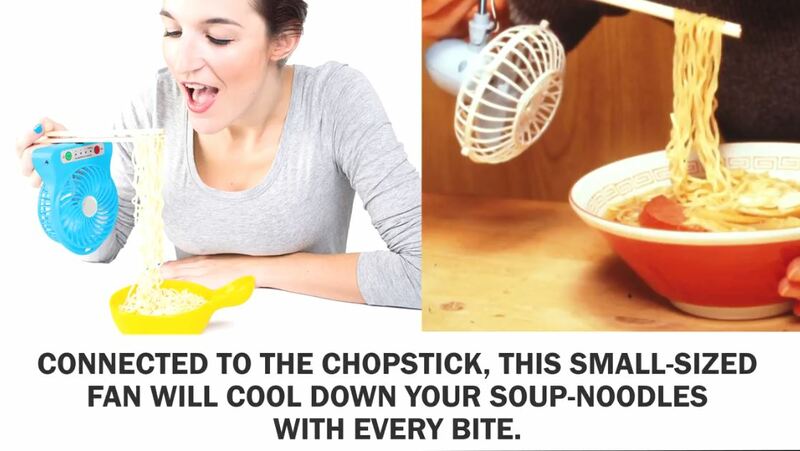 It consists of chopsticks that have a small fan attached to them that cools down your noodles with each bite. Funny isn’t it? You always get short on tissues when you have a seasonal flu. 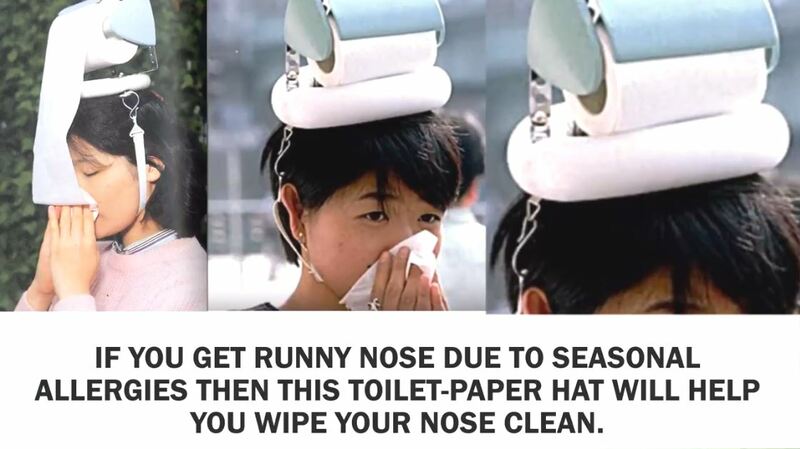 With this toilet paper hat, you can wipe your nose clean as many times as you want. 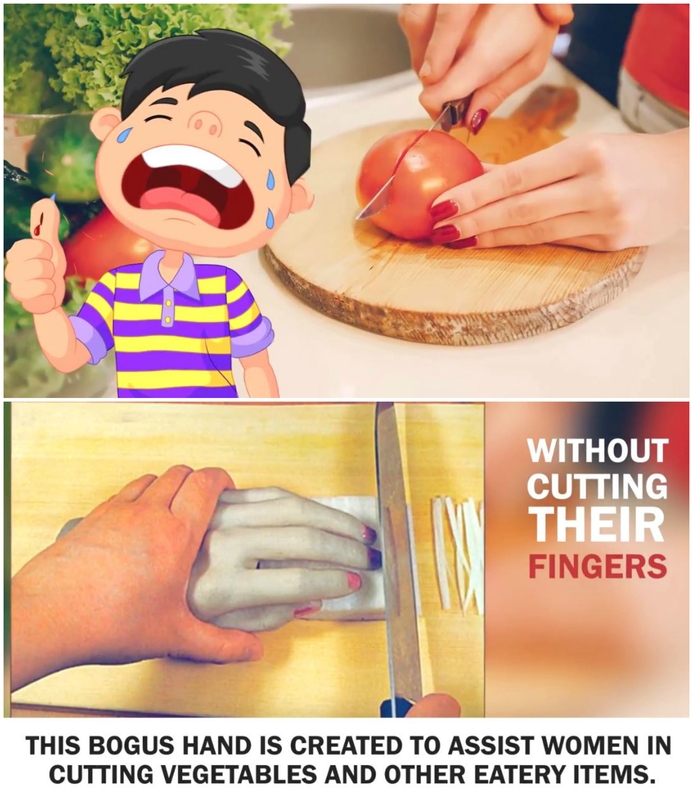 Perfect for girls with small finger nails who face difficulty while pealing off fruits like oranges. Everybody desires beautiful long hair. Unfortunately, as we age, the beauty of our hair starts to wither. 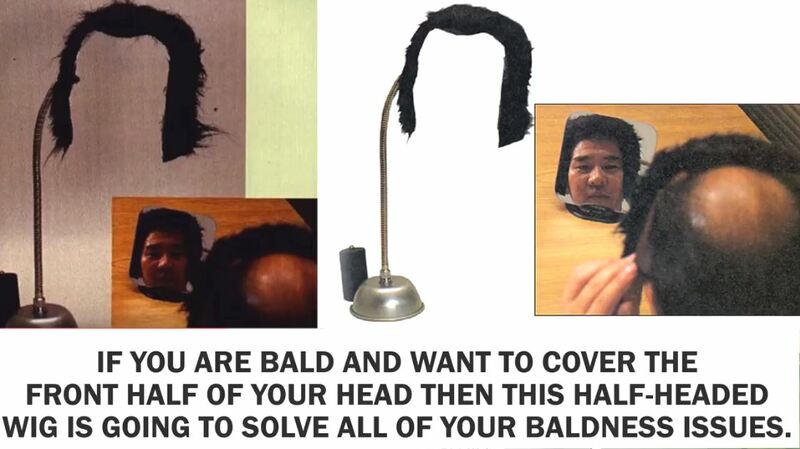 This wig is perfect for people trying to hide their bald spots. Cleaning becomes kind of fun with these shoes. 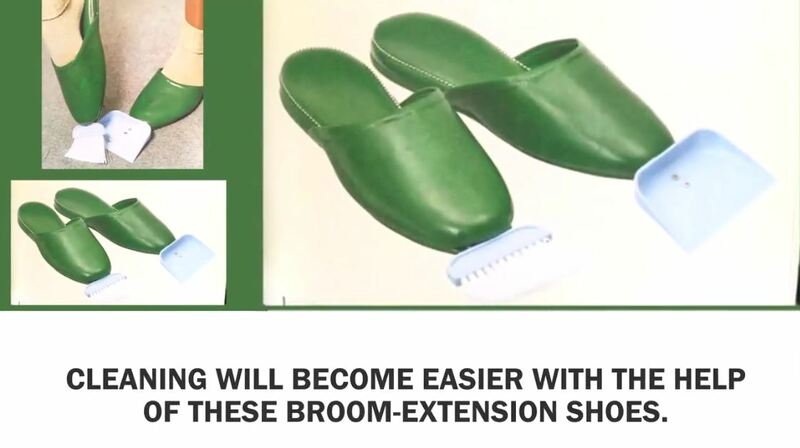 Just wear a pair of these when you are cleaning and these will help you collect garbage. These cases are made for boys who love a little breast pushing. People who wear lenses know how difficult it is to put eye drops in your eyes without poking them. 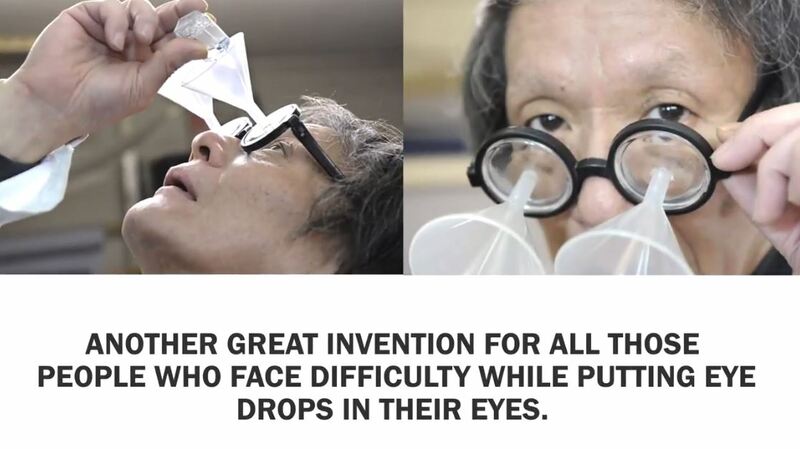 With this invention, you can achieve that. It contains little tubes that can fit on your glasses. Just put the eye drops inside them and there you have it! 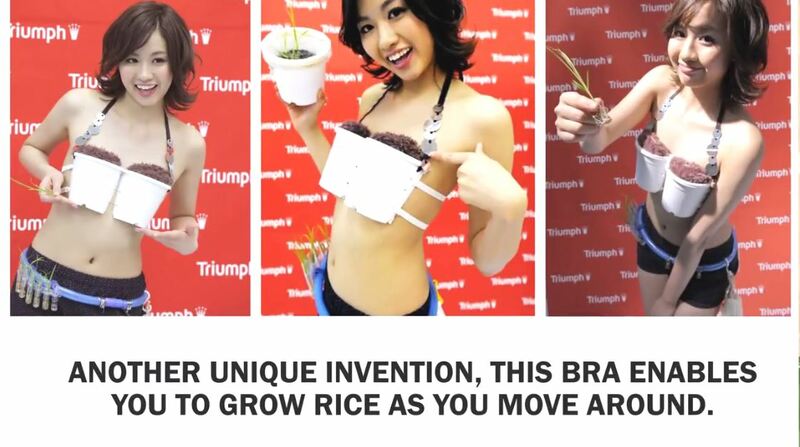 Invented to cause agricultural awareness, this bra grows rice while you move around. This was made for all the lonely people out there who like to cuddle while they are sleeping. 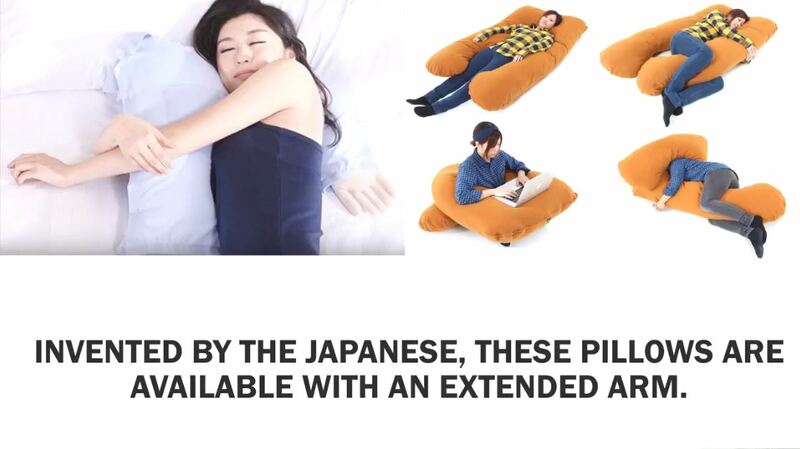 Created by the Japanese, this pillow has an extended arm to provide you comfort and a sense of security while you are sleeping. 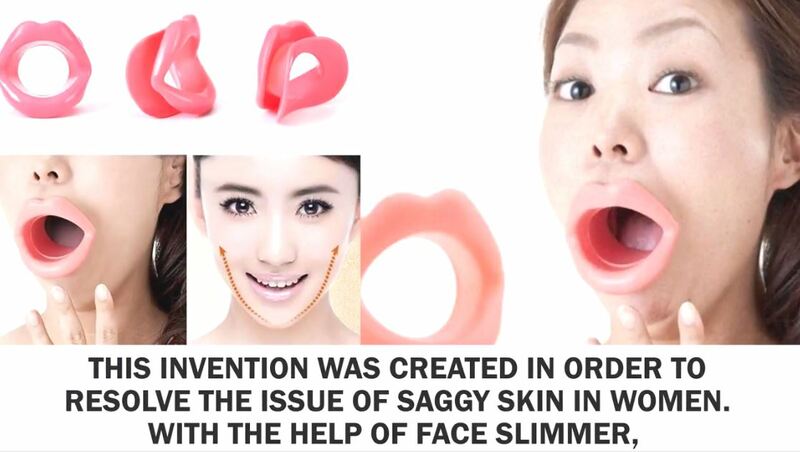 This was invented to revitalize saggy and wrinkled skin in women. 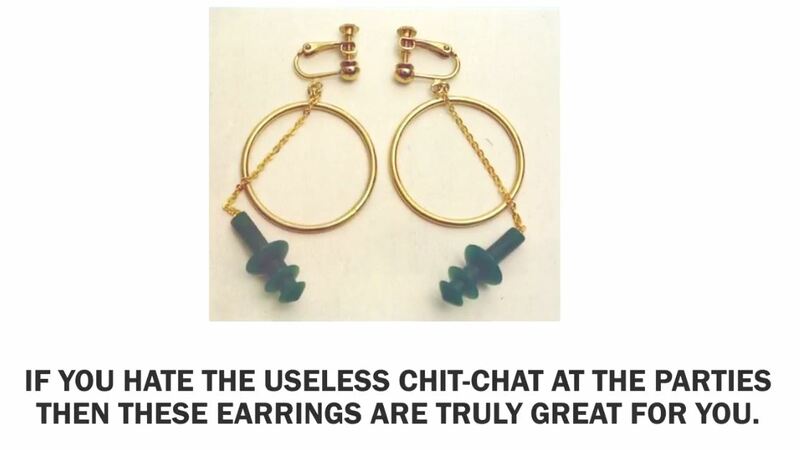 If you are at a party and are getting tired of useless chitchats, you can use the earplugs built up in these earrings and avoid hearing anything. Sounds ridiculous doesn’t it? Do not judge because these have proven to be very helpful. People who get tired of wiping their nose every minute when they have flu can just plug these inside their nose and relax. Many people wipe their hands on their shirts or pants when they do not have a tissue or clothe nearby. 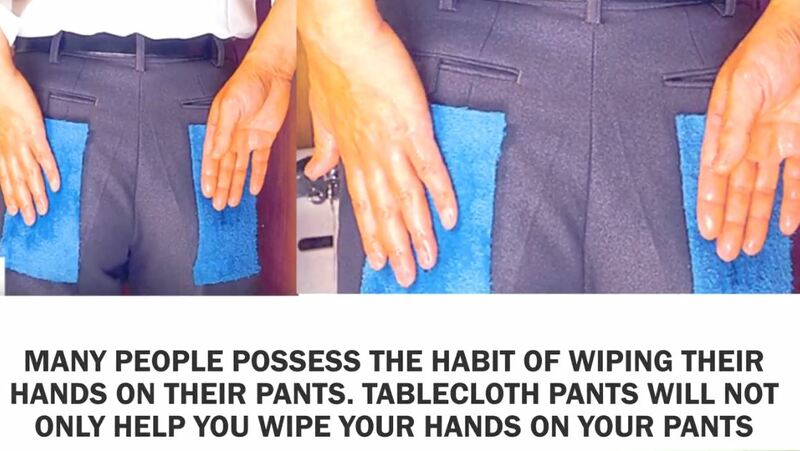 Through these table cloth pants you do not have to feel guilty about wiping your hands on your pants because your pants will remain clean afterwards. Like every other part of our body. Our breasts need to be massaged too to keep the blood flowing in them. But most women are not able to reach every part of their breasts while massaging. This Hand breast massager ensures that you massage every inch of your breasts keeping them firm and soft for a longer period of time. 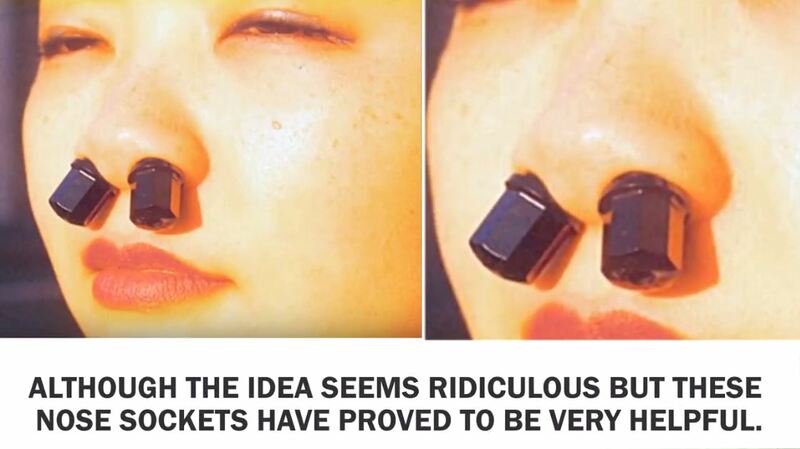 You may think these invention are weird but if you thing about it, they are very helpful. Do tell which one of these do you thing can be the most helpful.